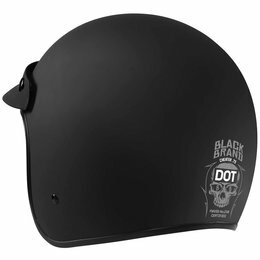 The Cheater Series of helmets from Black Brand present the ultimate, no compromise solution to mushroom head. We have all seen a person wearing a 1/2 or 3/4 helmet that looks just like a giant mushroom has grown on their head. It does not look cool, and the extra wind it catches makes your neck stiff on a long ride. 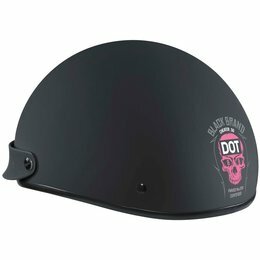 The Black Brand Cheater helmets use a combination of multiple shell sizes and in-molded Composite Fusion Technology to give the smallest, safest DOT approved helmets around.